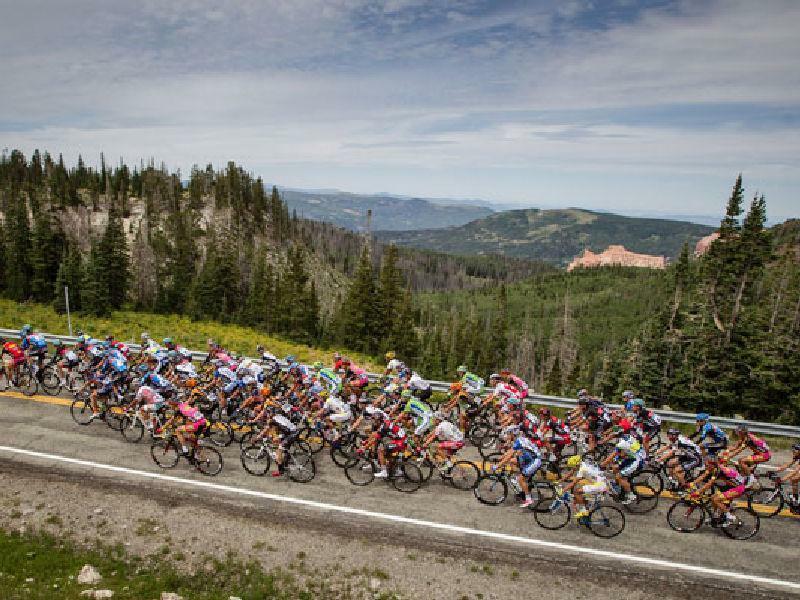 The Larry H. Miller Tour of Utah, one of the top professional cycling events in North America, is marking its tenth anniversary and its first year as a seven day race with 12 host venues across two western states. The race, which will take place August 4-10, will cover more than 600 miles, showcasing Utah's spectacular scenery from its fantastical red rock formations to the high alpine forests. The cyclists will race by many of the state's famous national parks and seven of its ski resorts and ride along some of the Southwest's most scenic byways. 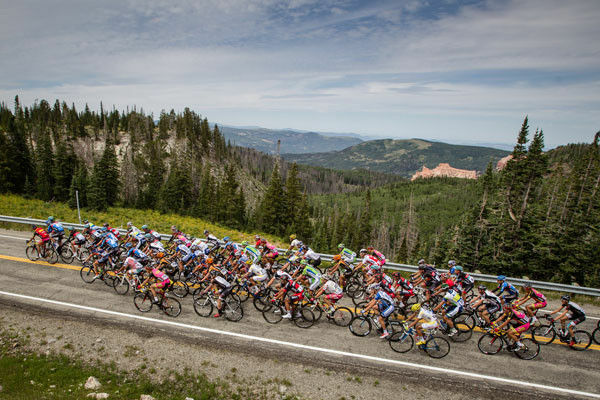 Utah offers not only a fantastic backdrop for the event, but extends a challenge to professional cycling's best climbers as they take on "America's Toughest Stage Race™" with over 38,000 feet of climbing. Even cyclists who have raced in Europe's top races have been impressed. Tom Danielson, the winner of the 2013 Tour of Utah and a member of the professional cycling team Garmin-Sharp noted, "The Tour of Utah has really come a long way since its beginning. Now it has over five World Tour teams, one of the best fields that's been assembled in pro cycling. And this year the race is up from six days to seven. It's got some of the hardest mountain climbs in the world, the highest altitudes, steepest climbs and some of the best fans that I've ever seen on the sides of the road." Cycling fans from all over North America travel to Utah to enjoy the first-hand excitement of the race, revel in the finish line celebration, and get that amazing accessibility to the world's elite riders during the "autograph alley." Some men and women will even accept the Ultimate Challenge, which offers them the chance to ride the same mountain-climbing "Queen Stage" route just before the pros race it. Those who are new to the world of cycling races are surprised to find that the event is both spectator-friendly and absolutely free. The finish line offers a festive atmosphere to wander through the cycling expo and visit sponsor booths or watch the action on jumbo screens. Fans who want to experience the race from the roadside come equipped to claim their spot with folding campchairs, a picnic, cow bells to ring with enthusiasm and a camera ready to catch the thrilling action of the pros and the antics of the costumed ultra-fans. This August, the Tour of Utah will be returning to some venues that have hosted it in the past such as Ogden and Torrey and will add new venues such as Kamas, which hosts a celebratory finish line. Steve Miller, president of Miller Sports Properties that operates the Tour of Utah, is eagerly anticipating the tenth anniversary of the event, "Each year the Tour has the opportunity to break new ground by showcasing the sport to different parts of the state, and our selection of host cities and venues in 2014 is no exception. The addition of a seventh day of racing allows us to expand to new territories like Powder Mountain and Evanston, Wyoming, as well as build upon the tremendous racing we experienced in southern Utah last year and our traditional finish in Park City." What better place to kick off the Tour of Utah and its pre-race festivities than in "Festival City, USA?" Cedar City made its debut as a finish line venue last year and was such a success that the race is returning to the town for the Team Presentation Event as well as the start and finish of Stage One. The cyclists loved the southern Utah setting last year. 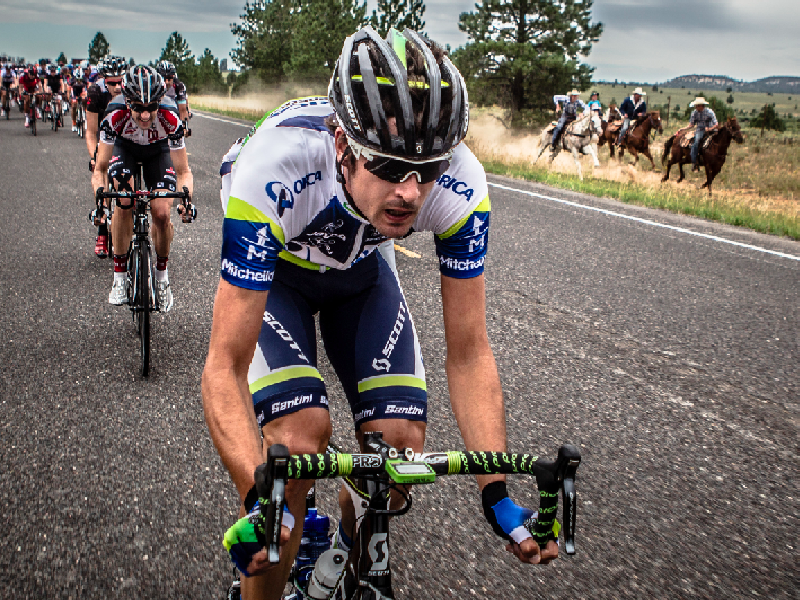 As the USA Cycling's Sean Petty related, "The start in the south last year was phenomenal. It's one of the few races I've ever seen where riders were using their phones and taking pictures along the course and tweeting them after the race." With such spectacular countryside to cause even pro cyclists to act like paparazzi, you'll want to stay a bit longer in Cedar City where you can get the full experience, as this setting has it all: the drama, the scenery and the adventure. If you enjoy drama and dramatic views, you'll find it in and around Cedar City, which has well earned its title as "Festival City." It is home to such events as the Tony-Award winning Utah Shakespeare Festival, the Groovefest American Music Festival, and the Neil Simon Festival. So if "the play's the thing" for you, enjoy one of the festival productions: from modern classics to Shakespeare, Cedar City offers some of the best theater in the country. And, as is apropos for a theatrical city, Cedar City is also situated near a huge amphitheater that nature herself designed. This geological marvel, nearly a mile deep, is streaked with hues of red, orange, yellow and purple, which led the Native Americans to call it the Circle of Painted Cliffs. It's an enchanting place where the rock has been exposed and shaped into pinnacles, hoodoos and fins, also known as the Cedar Breaks National Monument. Just twenty miles away from the city, the Cedar Breaks offers stunning views and recreation year round. Most seasons, one can hike to get some breathtaking views of the canyon. Mid-summer offers the best chance to see the wildflower covered meadows, while autumn shows off the park's amazing fall foliage. No coincident, Cedar Breaks was ranked as one of the top ten places to see autumn color by USA Today. Local hikers recommend the Rampart Overlook trail as one of the must-do hikes because it offers amazing views in all directions. The four-mile long trail will take hikers past some of the longest-living species of trees in the world, the bristlecone pine. For even more amazing backdrops and scenery, visit the Kolob Canyons section of Zion National Park, which is a mere 20 miles from Cedar City. A backcountry trek to the Kolob Arch (situated 7 miles from the trailhead) shows off some of the most beautiful scenery in Zion. The naturally sculpted canyon walls along the trail show off the vibrant colors and hues that Mother Nature herself designed. The trail is never far from the sights and sounds of LaVerkin Creek as it flows through the desert landscape and offers a relaxing and cool respite. But it is the end of the trail that shows off one of the most impressive views of all, the massive Kolob Arch, one of the longest arches in the world. I guarantee, your jaw will drop in amazement. If you are an adventure seeker, it's also plentiful here. Cedar City's mile-high elevation and its mountain setting make it an ideal location for athletic events such as the Utah Summer Games, a three-week Olympic-style sports festival. The location makes it a prime spot for endurance events - the Cedar City Half Marathon and the Fire Road 100K mountain bike race, one of only a handful of qualifying races for the famous Leadville 100 Mountain biking race. Surprisingly, Cedar City has a nearby ski resort as well, the beautiful Brian Head Ski Resort. Brian Head was the high altitude start for the 2013 Tour of Utah. While the ski resort offers excellent skiing in winter, summer recreation opportunities are plentiful at Brian Head as well. The mountain setting offers cooler temperatures and hundreds of miles of trails for mountain biking, horseback rides and ATV tours. If you visit, be sure to take a ride up the chairlifts to enjoy the panoramic views from the mountaintop. Music lovers will like the free summer concerts on the weekends as well. 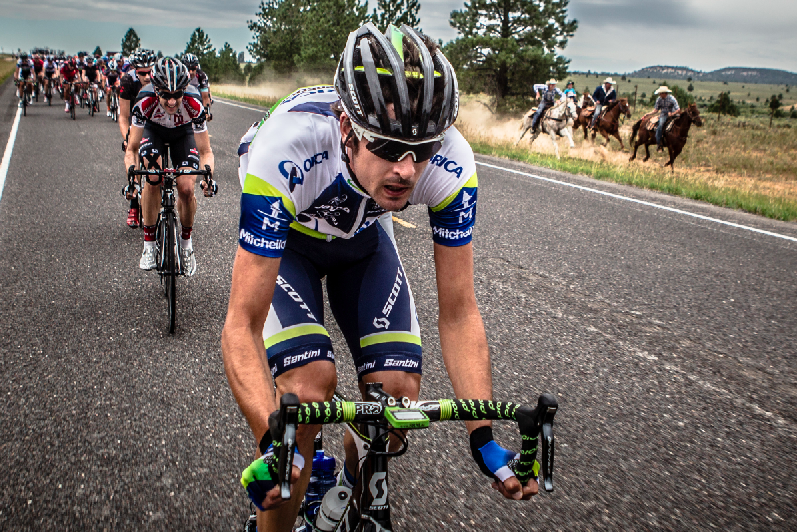 Enjoy the excitement, drama, adventure and scenery of both the Tour of Utah and Cedar City. Tara McKee is an avid cyclist and outdoor enthusiast. She is the Outdoor Recreation Coordinator for the Governor's Office of Outdoor Recreation.